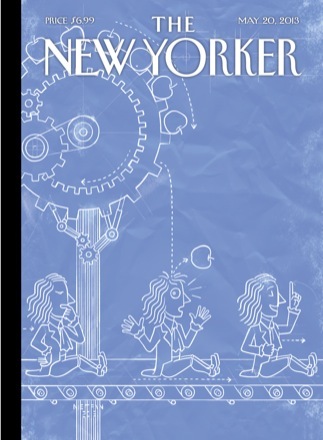 This week’s New Yorker magazine features a fantastic article by Rebecca Mead called, The Sense of an Ending. I encourage you to read this article, which talks about innovative ways to care for people living with dementia. The star of this story is Tena Alonzo, the director of education and research at the Beatitudes Campus in Phoenix. If you remember, Tena shared her insights about placing a parent with behaviors in an assisted living facility or nursing home with this blog. Also, please check out Phillip Toledano’s photographs of dementia. One day in September, a woman named Tena Alonzo stopped by Hayes’s room. Alonzo, the director of education and research at the Beatitudes Campus, a retirement community in Phoenix, Arizona, found Hayes lying in a hospital bed that had been lowered to within a foot of the floor, to lessen the risk that he would hurt himself by falling out of it. His face was contorted into a grimace, she later recalled, and he writhed and moaned. Alonzo, who is fifty-two, has spent the past twenty-eight years working with dementia patients—or, in her preferred locution, with people who have trouble thinking. She crouched next to the bed, and spoke in a quiet, intimate tone. “I’m here to help you—do you hurt anywhere?” she asked, moving her hand gently over his chest, his abdomen, his arms and legs. With each touch, she asked, “Do you hurt here?” When her hand reached his belly, the moaning ceased and Hayes spoke to her. “I hurt so bad,” he said. “I promise you, we are going to fix this,” Alonzo said, and he thanked her. . . .
Next There Are NO Alzheimer’s or Dementia Survivors. None. Zero. Zip. Nil. That’s a Problem. My mom loved the New Yorker, and she died from dementia this year.